Lanikai Reef extends almost one half mile out to sea, protecting the beach and its swimming areas. Public rights-of-way to the beach are found along Mokulua Drive. Two islands, the Mokulua Islands, lie off Wailea Point. Individually they are known as Moku Nui, or large island, and Moku Iki, or small island. Both are part of the Hawaiʻi State Seabird Sanctuary, and landing is permitted only on the beach of the larger island. 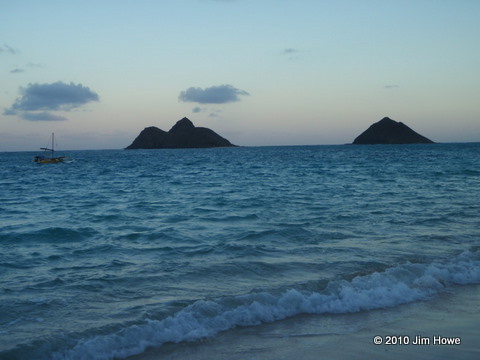 Surf sites are found along the edge of Lanikai Reef from the Mokulua Islands to Popoiʻa Island.